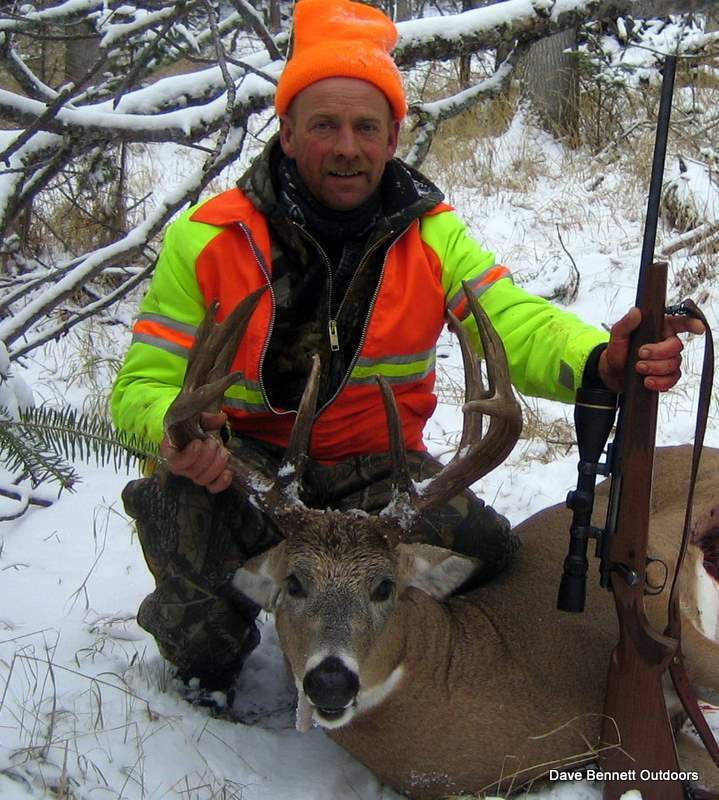 Northwestern Ontario is well renowned for its trophy whitetailed deer. This area has many entries in the record books. Vast areas of remote wilderness give deer the cover they need to grow. Our area is noted for bucks sporting dark heavy racks. Being at the northern edge of the Whitetail range the deer are genetically predisposed to large body size. When you book your big woods hunt with Dave Bennett Outdoors you can be assured that you will be hunting from a very well scouted stand location in a remote area where trophy class bucks are present. 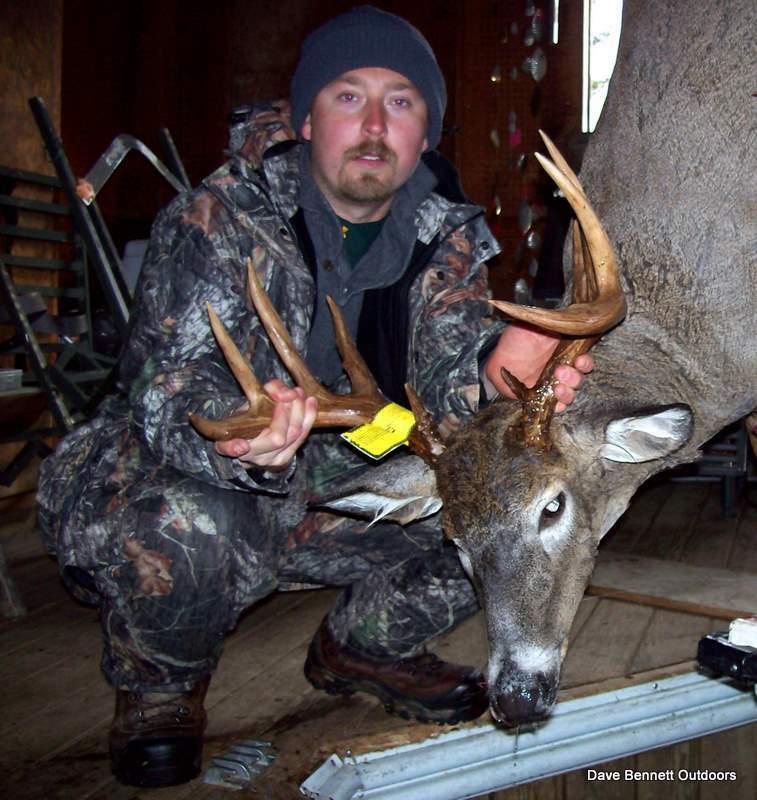 I cover a vast amount of territoty each season looking for the biggest bucks in the region, from the thousands of islands of Lake of the Woods to the hundreds of miles of logging roads, I put in the extra effort to find the hottest areas of the season. 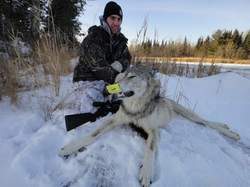 *You must have an old license from your home state or province as proof of hunter safety training. ​U.S residents can download and fill out the forms in advance for bringing firearms into Canada (see the link below). DO NOT SIGN ANY OF THE AREAS THAT REQUEST YOUR SIGNATURE - you need to do that in the customs office. Do you feel a little sad at the end of Deer season each year like I do? Well, I decided to change that. Wolf populations are at an all time high in our area and I have spent a great deal of time pursuing them over the past winters. Last season my hunters had a 100% OPPORTUNITY rate. (Adrenaline gets to the best of us at times). January and February are my preferred hunting months while their pelts are prime. Our wolves are big and come in many color phases. Check out some of the pictures in my wolf gallery. This hunt is becoming very popular, so book now! 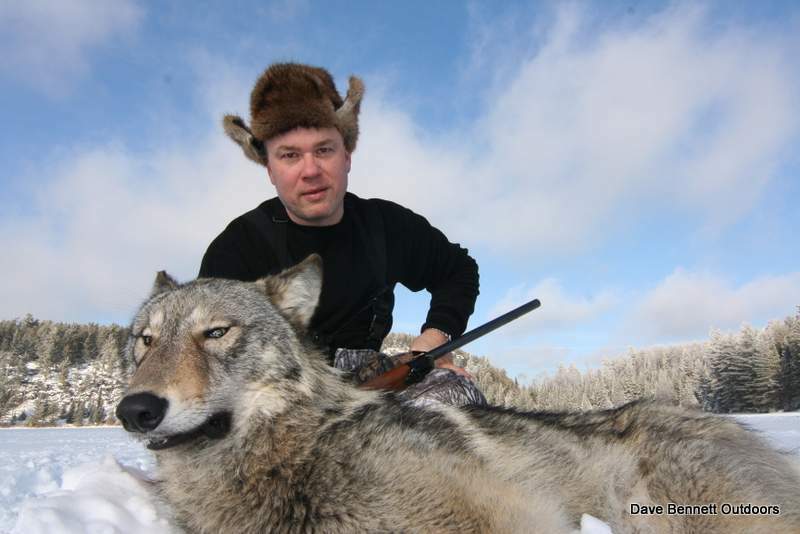 *You must bring an old hunting license or other proof of firearms safety training from your home state or province to buy a hunting license in Ontario. U.S residents can download and fill out the forms in advance for bringing firearms into Canada (found below). DO NOT SIGN ANY OF THE AREAS THAT REQUEST YOUR SIGNATURE - you need to do that in the customs office.